When Leonard Franks and his wife, Ellie, leave London for their dream retirement in the seclusion of Dartmoor, everything seems perfect. But then their new life is shattered. Leonard heads outside to fetch firewood from the back of the house – and never returns. Nine months later, with the police investigation at a dead end, Leonard’s family turn to David Raker – a missing persons investigator with a gift for finding the lost. But nothing can prepare Raker for what he’s about to uncover. Because at the heart of this disappearance lies a devastating secret. And by the time Raker realizes what it is, and how deep the lies go, it’s not just him in danger – it’s everyone he cares about. Leonard and Ellie Franks have decided to retire and move to the moors of Dartmoor. But one night in January Leonard goes to get more wood behind the house and just disappears. 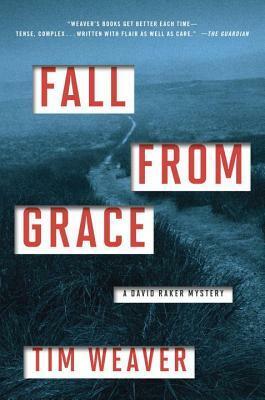 David Raker is asked by Melanie Craw, a police officer and daughter to Leonard Franks, to investigate Leonard’s disappearance when the investigation has reached a stand still. But the deeper David digs, the more secrets he finds and learns there was a lot more going on with Leonard. Those secrets are also going to come back to haunt David for stirring them up. I love mysteries that let you try to figure out what is happening. And Fall From Grace is exceptional with all the twists and turns. There is no much happening that I missed a couple of the clues and had no idea what the ending was going to be. This is my first David Raker story but it will not be my last. 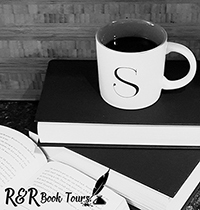 If you are looking for a great mystery and thriller that will keep you on your toes, look no further. To purchase Fall From Grace make sure to check out Amazon, Barnes and Noble, Goodreads, and Tim Weaver’s website. I received Fall From Grace for free from the publisher in exchange for an honest review.